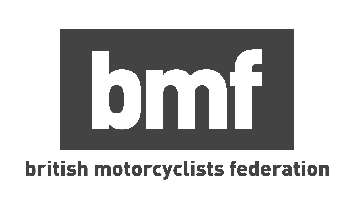 If you want to ride a motorcycle or scooter on the roads, then taking your CBT test in Southend-On-Sea is the first step to making that happen. Pass Bike are located just north of Southend airport, in Purdey’s Industrial Estate, relatively close to Rochford and Sutton Hall railway stations. The local roads are quiet and the school has a fleet of new motorcycles and scooters, and will provide you with all riding equipment necessary. ART Rider Training are based in Basildon, 12 miles east of Southend-On-Sea, and boast purpose-built facilities, as well as an on-site shop. As with Southend, the local roads are quiet. Who can take the CBT? Anyone aged 16 and above with a valid UK provisional driving licence and valid UK passport can take the CBT. You don’t need to have any previous experience riding motorcycles, and - if you only want to ride a 50cc scooter - you passed your car test before February 1 2001, you don’t need to complete a CBT course. Since the CBT is just a very basic level of training, you will be restricted to certain sizes of motorcycles and scooters once you complete it. If you 16-years-old you will only be allowed to ride a scooter or motorcycle with a maximum engine capacity of 50cc, and a restricted top speed of 28mph. If you’re 17 or older you can ride a machine with a maximum capacity of 125cc and maximum power output of 11kW. If you pass your CBT at the age of 16 and wish to move up to a 125cc machine when you turn 17, you don’t have to worry about anymore training, you can just hop straight on your new machine and continue riding. It’s worth noting, however, that your CBT will only remain valid for two years. If you wish to continue riding after these two years, you will have to retake your CBT, or take your full motorcycle test if you want to ride larger machines. There are two different types of bikes to choose from; motorcycles, and scooters. Motorcycles, let’s be honest, are the cooler of the two, but they’re impractical if you’re 16 and can only ride a 50cc machine. Motorcycles feature a fully manual gearbox and clutch, which means the rider has much more control, but it also takes a little longer to learn. Motorcycles also use bigger wheels than scooters, which means they deal with bumps in the road better. Scooters are the practical cousins of the motorcycle. They use fully automatic gearboxes, which means all the rider has to do is twist the throttle. It’s much simpler than learning how to use a clutch and gears, but it’s not as fun and it means you don’t quite have the same level of control over your acceleration. The vast majority of scooters also feature storage under the seat. On many scooters this is big enough to fit a full face helmet, for when you park up, or at least a small backpack and lock and chain. Some of the more premium scooters have smaller compartments under the handlebars, which sometimes feature USB sockets.